Samsung Hub: All six strata units totalling 13,132 sq ft on Level 18 have been bought by an Asia-based group that plans to occupy the space. 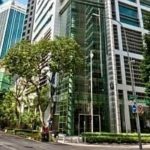 The entire 18th floor of Samsung Hub has been sold at S$3,225 per square foot- the highest for an entire office floor in the 30-storey office tower in Church Street in the Raffles Place area. The building is popular among office investors due to the long tenure of the site – 999-year leasehold. 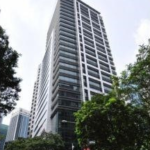 Samsung Hub’s 18th floor, which has just been transacted, comprises six strata units adding up to 13,132 sq ft, resulting in a total quantum of slightly over S$42.35 million. 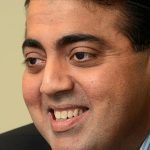 The entire space is being sold to a single buyer, said to be an Asia-based group involved in the oil and gas business, among others, looking to occupy the space, as existing leases run out in phases starting later this year. CBRE brokered the sale and Cushman and Wakefield also advised the seller, Church Street Holdings. 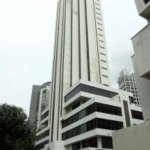 The psf pricing surpasses the S$3,030 psf at which the entire 14th floor in the building was sold earlier this year by Arch Capital Management. 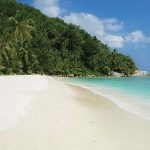 Church Street Holdings is a partnership between Buxani Group and a group of investors advised by Seychelles-based Capital Management Group. When contacted, Buxani Group CEO Kishore Buxani confirmed the sale. “Our holdings in Samsung Hub have been a good long-term investment for us, and we have been happy to hold on. For Level 18, I was actually approached by a few agents with attractive unsolicited offers.  Mr Buxani is also a director of Church Street Holdings, which acquired six office floors in the building – Levels 16-21 – from OCBC in 2007 for S$1,560 psf or S$122.4 million. Including the latest transaction, it would have sold four of these floors. 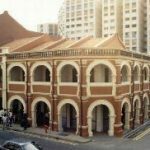 Last year, the company divested Level 17, comprising six strata units transacted individually at between S$3,126 psf and S$3,500 psf (the top end was for an 883-sq ft unit). 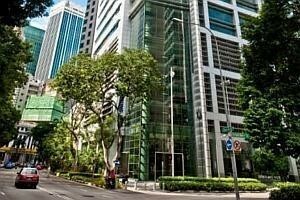 The average price achieved for the whole floor totalling 13,132 sq ft was S$3,210 psf. Hence what is noteworthy is that the S$3,225 psf at which Level 18 is being sold, on an entire floor basis, is even higher than the average psf price for the six separate units sold on Level 17 last year. 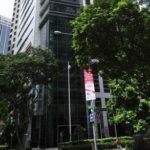 Church Street Holdings sold Samsung Hub’s 16th floor in late-2012 for S$3,000 psf and 20th floor in late-2011 for S$2,800 psf. 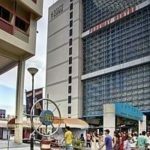 Market watchers suggest one factor that could have aided the latest transaction in Samsung Hub is the minimum S$2,800 psf asking price for three strata half-floor units (of 5,000-plus sq ft each) at the next-door Prudential Tower, which is on a site with slightly over 80 years’ balance lease. Two of the units are on the 11th floor and the other is on the 16th floor of the 30-storey building.